I love my long silky black hair but just like most of you, I also encounter those "bad-hair day" unwanted occasions. It has taken me three long years to finally come up with the decision to get myself a hair straightener/iron. 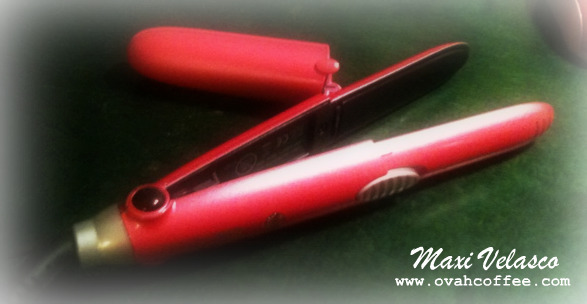 A week ago, my boyfriend has gotten me the OBH Nordica Hair Iron [LOOKS series] at Media Markt during our July 23 Sundsvall visit. The hair iron only costs 99 Swedish Crowns which is reason enough for me to grab one without thinking twice. I've only used the hair iron once [yet] and I am really happy with its performance. 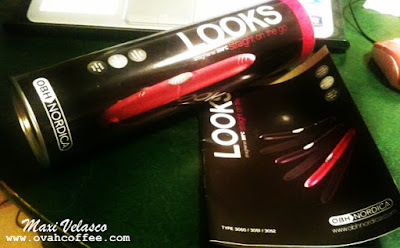 It heats up in a matter of seconds and glides smoothly along the strands of my hair. The result has exceeded my expectations. This OBH Nordica Looks Hair Iron is enclosed in a pretty cylinder case and comes with an instructional manual and a heat resistant/protection cover [which I think is smart!]. The plates have ceramic coating that helps you achieve a shinier straight hair. It is about 9 inches long and slim - perfect to bring along when traveling. It has also a temperature control indicator lamp. This product comes in black, violet and pink. My say? I say, "Goodbye bad hair days! Hello silky straight hair."